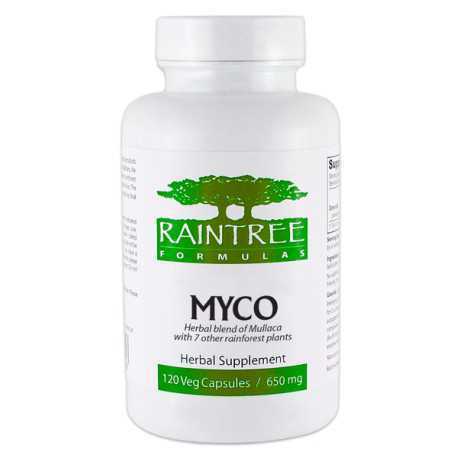 Myco's Raintree Formulas is a synergistic formula of 8 plants from tropical forests of South America, with strong antibacterial and anti-rheumatic properties. 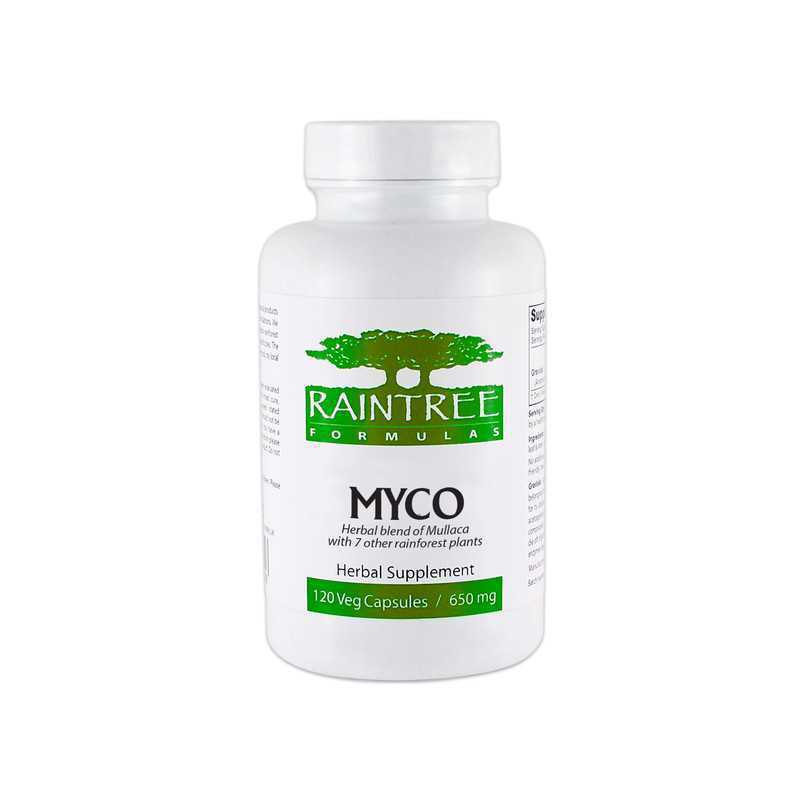 Myco Formula is recommended by Stephen Buhner for mycoplasma infection. 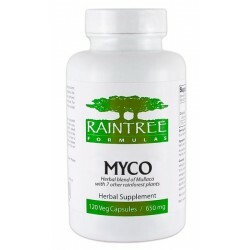 Raintree Formulas is an American manufacturer of organic dietary supplements. The herbs used in their products are wild crafted and sustainably harvested by the indigenous people of the Amazon Rainforest. Raintree Formulas have a certificate of good manufacturing practice (GMP). Ingredients: A proprietary blend of mullaca, Brazilian peppertree, anamu, clavillia, macela, fedegoso, picão preto, and uva ursi. 100% natural herbs as listed with no use of chemicals during cultivation. Vegetable capsule shell. Myco formulaa contain no other ingredients, no fillers, binders or flow agents. Suitable for vegetarians and vegans. Free from yeast, soy, gluten, nuts, dairy products and GMOs. Recommended daily intake (adults): 3 capsules 2 times a day. Caution: Do not exceed recommended servings for consumption during the day. Dietary supplements cannot be used as a substitute (replacement) of a varied diet. The product not recommended for pregnant and lactating women. Note: People with low blood pressure should monitor pressure while taking Myco and before use, contact practitioner. The Mycoplasma includes eight plants, which have antimicrobial properties. In order to maintain normal intestinal microflora it should be taken together with probiotic. Made in the USA according GMP standard.